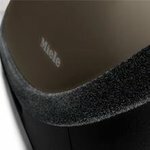 Miele's Complete C3 Brilliant vacuum cleaner features an Electro Premium electro brush ideal for cleaning medium to high-pile carpeting. The Electro Premium electro brush is an electrically-driven carpet tool with wide brush roll and LED light for added comfort. 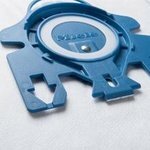 With five adjustable height levels, the Electro Premium adapts to any pile carpeting. Brilliant offers a savvy, self-adjusting automatic setting. As you transition from hardwoods to carpeting, it automatically decreases suction, then increases suction when you return to smooth, solid flooring - saving you both time and energy. The Brilliant also includes the XL Parquet Twister - providing 180 Degree rotation for the agile, yet gentle care of smooth surfaces. 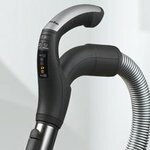 A telescopic, electric, stainless steel wand and long electrical cord, with one-touch automatic rewind, provide a total cleaning radius of 36 feet. 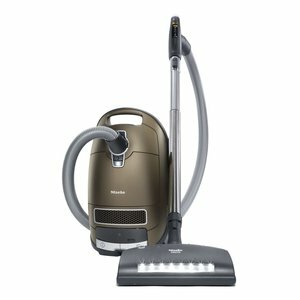 The Complete C3 Brilliant is also equipped with a Deluxe Comfort Grip handle with six-stage suction controls, plus an Automatic setting, and electro brush controls. Innovative LED underbody lights and an illuminated parking system make for a truly luxurious cleaning experience. Other conveniences include three integrated accessories - a dusting brush, upholstery tool and crevice nozzle conveniently integrated into the canister - and a 3D bumper. 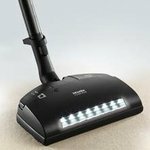 Miele's Complete C3 Brilliant vacuum cleaner comes packaged with an Electro Premium electrobrush featuring five adjustable height levels, a wide brush roll and LED light. The Electro Premium electrobrush is ideal for cleaning medium to high-pile carpeting. A self-adjusting automatic setting offers easy transition from smooth floors to carpeting. The Brilliant also includes the Parquet Twister, providing 180° rotation for the gentle care of smooth surfaces. 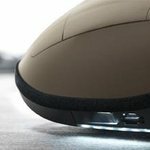 A deluxe comfort grip handle with six-stage suction controls, innovative LED under-body lights and an illuminated parking system make for a truly luxurious cleaning experience. Other conveniences include three integrated accessories: a dusting brush, upholstery tool and crevice nozzle and a velvet 3D bumper. Handle controls Allows users to turn the vacuum on or off, control the speed settings or switch to the automatic setting - easily adjusting the vacuum speed perfectly for each surface in your home. LED Underbody light Assists with easy storage, closets or other dark areas. Velvet bumper strip Protects furniture in the event of accidental collision.